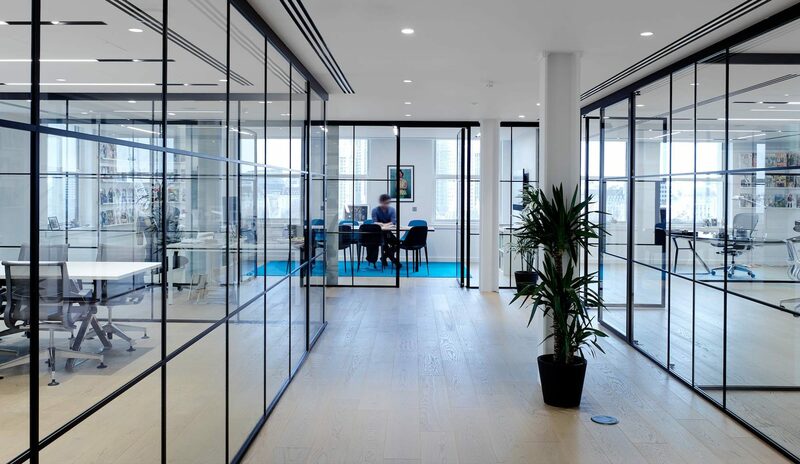 GDM were the consultants and have been shortlisted for a 2019 London Region British Council for Offices (BCO) Award under the ‘Fit Out of Workplace’ category. 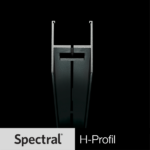 Spectral’s H Profil system was specified due to its immense flexibility and structural integrity. 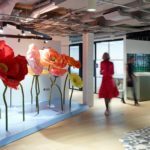 It was used in several different areas of the fit out, including a cleverly detailed recessed office , a feature artistic ‘set’ and an impressive modern reception area. 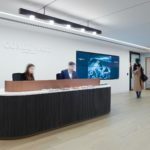 Delivered pre wired to site in lengths from 2 metres to 3.3 metres long the specifier was able to select a myriad of light options included the unique soft focus recessed glass lens (Glaslinse), fully adjustable spotlight (Cura), drop Glass cylinder (Glazylinder) and diffuse opal panel.